During helping the editing of The Letters of Sister Vajirā1 I often wondered how it would be accepted by readers. Would it be yet another book in our ‘Buddhist library’ which may be labelled as unusual, controversial, and perhaps disturbing? Originally I hesitated to undertake the project, but later realized that my hesitation was not really justified. True, the book is unusual, but would that detract from its value? Would the book disturb, for readers, something that had not been disturbed before? This collection of letters does, in fact, tend to bring up issues which we generally like to put aside, or which bring a grim expression on our faces, reflecting our distaste or disagreement. But I have come to trust that reading them can prompt some beneficial reflection and thought on Dhamma, and so feel their publication is very much worthwhile. I have observed and been aware of the very common habit of denying unusual or strange experiences which come to us from time to time, and often reflect on these matters. Should we meet someone near to us who is severely agitated, perhaps even psychotic, what would be our usual reaction? If that person was close to us, we probably would try to do our best to help him or her out, to get help; and if we were already aware to some degree of an insecurity in our own minds we might be keen to assist such a person out of genuine compassion, and share our knowledge. But are we not sometimes inclined otherwise, perhaps, to try to deny or minimize the uncomfortable situation and say: “There’s nothing wrong with him! He is all right. Just give him some time”? And try to forget all about “such nonsense”? Or perhaps we might even dismiss or reject the person: “Give her drugs! Get rid of her!”? Would that be our reaction? Indeed, there might be circumstances in which seeking professional help is recommended—I am not suggesting that there aren’t—but the aim of this reflection is to pose the question: why do we react in a dismissive way when something happens near to us that is foreign to us, or that we feel should really not happen at all? Why are we so afraid? Is it perhaps because such things remind us of something? Do these things get too close to us? Are we experiencing a fear of loss of control over our own minds, a fear of annihilation? What happens when our world is shook? I believe that most of us can admit that we are afraid of things which could in some way challenge the eternal and pleasant world in which we have built our homes, and which invest our lives with family, business, social position and other material welfare and meaning. People are usually so thoroughly hypnotized by their environment though education, social values, the media, TV, etc. that they create and attempt to live ideals that, though everybody struggles to realize them, nobody actually can. They do not desire to turn back and go against the flow of the world and they never want to see things differently, to explore the wider field of possibilities to achieve something else. But even if such a change in perspective does arise they ask themselves: what is the purpose of life?, where am I going?, what happens when I die?, is there is something more than this, something that is completely unfamiliar to me?, why am I here? They start to ask themselves these questions and they begin to interact with such thoughts with such an intensity that they themselves might have a nervous breakdown. Though such thoughts and questions are, in reality, nothing new, they can be so personally disruptive that how they view their own lives and the world itself can start to fall apart. So we maintain restraint in our lives even if we do not know (yet) the reason for doing so. When Sister Vajirā—after living a decade, in solitude, with an absolute obsession to gain an understanding of Dhamma—suddenly realized the distinction between the essential and the unessential, she dropped everything that was not essential for her, personally. All that remained was knowledge and virtue, which was properly “integrated”. Other things which were grasped without understanding were dropped. 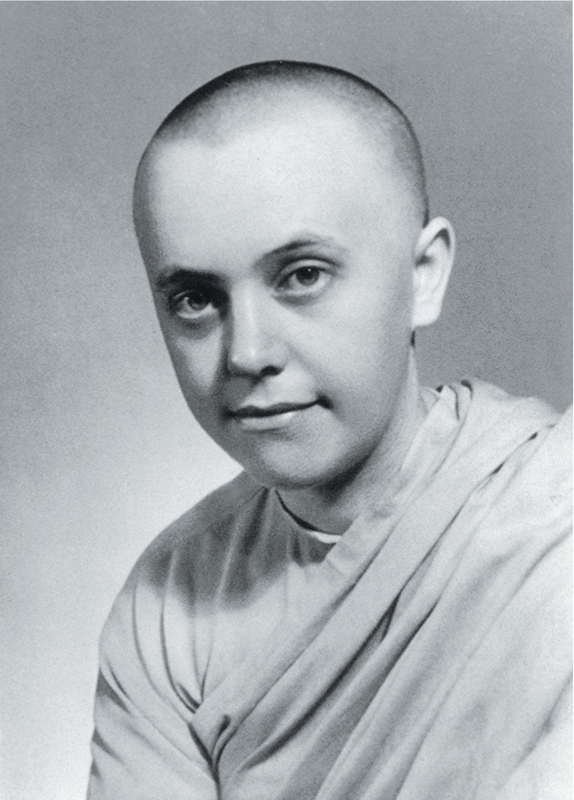 It is rather difficult to know her state of mind but from gaining an understanding of her letters and the essence of the Buddha’s Teaching we realize that Sister Vajirā knew the danger of her careless behaviour and that she also knew the way out of it. Knowledge of these facts was very satisfying for her, and that was very likely the reason for her subsequent indulgence in emotional states. She was a very emotional, passionate, conceited, arrogant, and somewhat religious woman and her idealistic outlook caused much of her emotional turbulence. But she writes: “I was straight. My strongest weapon was humility” (p. 73) and “I know that it is only humility that befits me, and not argument.” (p. 49) That humility and openness to suffering allowed her to progress quickly along the path to understanding. Ajahn Chah said that once one’s mind has entered the stream there is nothing to fear even if it takes hundreds of lifetimes more to reach full enlightenment, and it seems that that is the direction upon which Sister Vajirā was focused, neglecting everything else. She knew that there was still work to be done but it seems that she was satisfied with her attainment. For her it was a matter of being authentic and unwilling to deceive herself. In other words: for her it was a matter of being sane for herself, not being sane for others. We can assume that she knew very well the weight of her actions and their consequences. In our practice we must be truthful enough and humble enough to be able to familiarize ourselves with our own anxiety and our fear of “madness” or any other disturbing mental states. In so doing we will see, as Venerable Nirodho has said, that these are not so big as they appear firstly. But we have to look into them, otherwise they stand on our way all the time. 1Published by Path Press Publications, 2010.